In the nineteenth century, which witnessed a revolution in horticulture and urban planning and architecture, Joseph Paxton, a man with no formal education, strode like a colossus. Head gardener at Chatsworth by the age of twenty-three, and encouraged by the sixth Duke of Devonshire whose patronage soon flourished into the defining friendship of his life, Paxton set about transforming this Derbyshire estate into the greatest garden in England. Visitors there were astonished by the enormous glasshouses and ambitious waterworks he built, the collection of orchids, the largest in all England, the dwarf bananas and the gargantuan lily, the trees and plants brought back from all over the world. Queen Victoria came to marvel and, increasingly, with the development of the railway in which Paxton was also involved, daytrippers from all over the country. It was the Crystal Palace, home of the Great Exhibition in 1851, that secured Paxton's fame. His design, initially doodled on a piece of blotting paper, was the architectural triumph of its time. Two thousand men worked for eight months to complete it. It was six times the size of St Paul's Cathedral, enclosed a space of 18 acres, and entertained six million visitors. By the time of his death fourteen years later, 'the busiest man in England' according to Dickens, was friends with Brunel and Stevenson and in constant demand to design public parks and gardens. His last, seemingly most eccentric project was for a Great Boulevard under glass, a crystal arcade that would connect all the main railway termini in London. 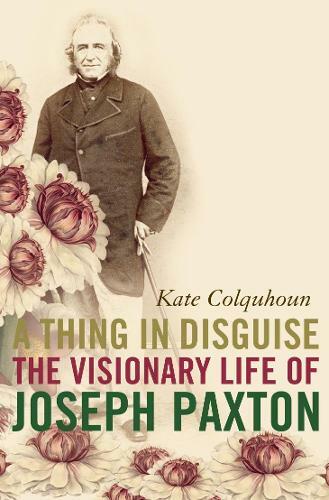 Drawing on exclusive access to Paxton's personal letters, Kate Colquhouns's remarkable biography is a compelling story of a man who typifies the Victorian ideal of self-improvement and a touching portrait of one of that era's great heroes. 'Energetic, irresistible, a marvellously invigorating tale.' Francis Wheen, Observer Books of the Year.